Scared that you might get stroke because of smoking too much? Even if you don't care that much we still have good news for you. A Finnish study suggests that drinking two or more cups of tea or coffee a day can reduce male smokers' stroke risk. The study took 13 years and over 26,000 male smokers where it was known that those who regularly drank tea and coffee were 21 per cent less likely to suffer a type of stroke known as a cerebral infarction but other forms of stroke did not seem to have been affected by coffee or tea intake. Cerebral infarction is the blockage of the flow of blood to the cerebrum, causing or resulting in brain tissue death. This is another one of the reasons to drink coffee and/or tea, whether you're a smoker or not. Tea of course, as we know, has lots of antioxidants that help the body fight cancer. Knowing this, maybe smokers can now try to limit their sticks or packs of cigarettes a day to make the effect of coffee and tea to the body better. Good to know but I won't share this with my husband or I will never get him to quite smoking. I'm just your typical guy from Manila..right now I don't have any real work but I'm happy since I can do what I want to do. 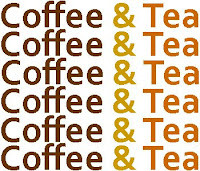 This is one of them - sharing what I love (one of them is coffee). I discovered coffee not that long ago so I can't say that I'm not expert here but someday I hope I can be one. There's so much good stuff when it comes to coffee, everyone agrees right? Very Good!